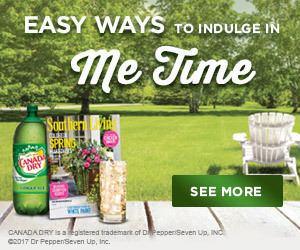 The root of relaxation, Canada Dry is the perfect accompaniment as you relax and recharge. The root of relaxation, Canada Dry is the perfect accompaniment as you relax and recharge. How are you going to enjoy your Canada Dry? Me Moment Sweepstakes Part 1 on SheKnows runs from 3/16/2017 through 3/31/2017 and is only open to individuals who, at the time of entry deadline, are legal residents of the United States and are 18 years or older. Click "here" to read the official rules. Winners will be randomly selected from all eligible entries. Good luck!